Over the last few years, I have started down many paths and started reading lots of books but never finished any of them. Can anyone think of a study plan I can follow having gone back to basics. And where is back to basics? Back to the cushion with an empty mind and a breath I suppose? One man's basics are another man's complex. One man's basics are another man's kindergarten stuff. Where is 'back to basics', indeed? Ah ha! The path of many paths leading nowhere. Sounds like a plan. Read smaller books. Preferably ones worth reading several times and/or learn to dip read. ... complicated ... Try something complicated. You do realise, do you not, that it is not the paths, books or study plans that are the problem...? Sledgehammers - use them on your nuts. 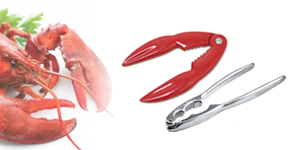 @lobster "Sledgehammers - use them on your nuts". ... must get the angle right. If I was strong enough, maybe I could lease one with a decorative Llama? Can they be bought? We are all going back to basics all the time. Don't feel you are different. Every day we leave our mental You Tube and come back to the present, back to basics. Finding a teacher, a must, might take some time, and until you meet him or her you may become confused over what to read. So in the short term, sit in meditation. It will clear your mind and actually help with your decision about a teacher. 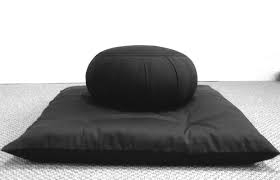 With the meditation, simply sit in a well lighted, quiet room on a cushion and follow your breath. Start with 5 minutes 2 times a day and gradually build up. Good luck. Finishing a book is not a good measure of accomplishment in the path. Someone who always finishes all the books he starts is probably further away from the goal, he seems to have a problem letting go of things which are not beneficial. That said it is useful to build up some determination, to try and have a daily practice as @Tsultrim was suggesting. Clearing the mind is good advice, even if only for short periods. It’s hard to know what to advise without having a better understanding of what you have already studied and what level you’d like to take things at from here. I’m currently reading through Access To Insight’s introduction, here, which is a good introduction to the buddha’s teachings. It’s a good place to start to get to know the words of the Buddha and his method of teaching as we have them today. Or you could go through all of the videos of The Enthusiastic Buddhist on YouTube, to get a solid overview of the modern understanding of Buddhism in bite-sized pieces. Personally I’ve done quite a few “introductions to Buddhism” in the form of courses or lecture series, and I’ve gotten something out of all of them. They have all had slightly different perspectives, presented the knowledge of different schools, and I don’t think going over this material again is ever wasteful. Someone who always finishes all the books he starts is probably further away from the goal, he seems to have a problem letting go of things which are not beneficial. Just that my experience recently has been that some books tend to waffle a great deal, and reading those in particular does not help towards the goal of staying on the path. If you then force yourself to finish the book, you are just wasting time and energy, it does not show a lot of awareness of what you are doing. One should be able to put down a book which has turned out to be uninsightful and unbeneficial. Finding a teacher, a must, might take some time, and until you meet him or her you may become confused over what to read. So in the short term, sit in meditation. It will clear your mind and actually help with your decision about a teacher. I think there is the problem, I wouldn’t know where to find one but in this ultra conservative area of the UK they’re going to be pretty thin on the ground. @FairyFeller let's make it fun. Look up teachers on the internet (i've been in different Buddhist disciplines but i would suggest Tibetan Buddhist teachers of the Nyingma or Kagyu lineages) and go and see them. Don't be intimidated, everybody is a human just like you. It'll be fun. Talk to the students (very important because they reflect the teacher) if it's an uptight place forget it, if the people are nice take a closer look. You will learn a ton, get to see some country, and maybe find the making of your life walk around the corner. I've been in the UK, it's not that big and the transportation systems are good. Give it a go. What are the basics? Concentrated study plan? Study a book? Visit a sangha? Regular meditation? Following Sila? Do you need pre-basics? Then? Talk - come on here, discuss ideas. Maybe look up Buddhist or meditation classes and teachings near you . Explore ideas, ask questions, debate and think carefully about everything. It is very nourishing, don't worry too much about getting it right. It will come with time. One 'trick' I like to use for helping me feel more compassion is that when I am having a hard time, experiencing pain, sadness, or fear - I always say to myself "other people feel this too". This is something Pema Chodron teaches. By opening your heart in this way, you not only help yourself feel more compassion that you can act upon for others, but you also touch the healing beauty that all things are permanent: compassion is a wonderful way to turn suffering into a great sense of peace, meaning, and wellbeing. This is something that has helped me get through a lot of traumatic things and may be helpful to you too! I also think about which of the precepts I struggle with and take time to work on those, through the years I definitely see a positive change. I used to 'rely' on some unethical behaviour to make life less painful or easier for me in ways, now I realise those things were bad habits and I was not mindful of their impact and didn't take full responsibility for them. I still don't get it perfect, but I find the reward of trying to live more ethically is one that allows me to feel steadier and more at peace. So think about that too , we all have ways in which we can improve ethically - mine may be totally different from yours!